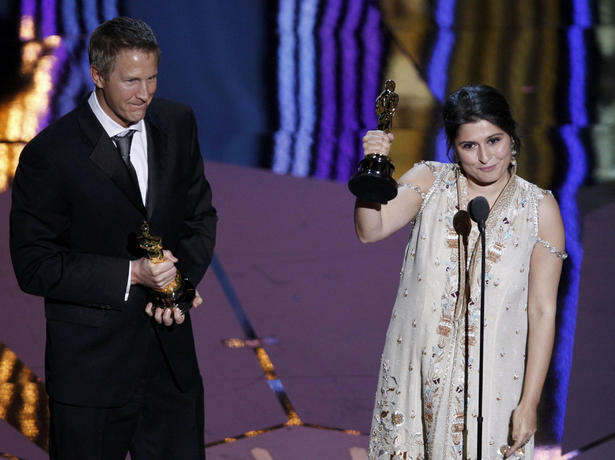 Pakistani journalist and documentarian Sharmeen Obaid-Chinoy’s latest venture Saving Face has won an Oscar award under the category ‘Best Documentary, Short Subject’. In her acceptance speech, Chinoy dedicated the award to “all the heroes working on the ground in Pakistan” including British Pakistani plastic surgeon Dr Mohammad Jawad, main subjects of the documentary and the women of Pakistan. “All the women in Pakistan working for change, don’t give up on your dreams, this is for you,” she said. Asad Farouqi, the cameraman for Saving Face, was all praise for Obaid-Chinoy as well. He said that it was a big achievement that learning and working in Pakistan she had managed to make it to the Oscar Awards. “Our programming is focused on showing a positive image of Pakistan,” said Farouqi. He said the real purpose of the documentary was to create awareness and that it was commendable that this had brought Pakistanis together and had them reacting in a positive manner.